Email us to get on the wait list! E-RYT 500, RTT/Instructor, AYS, CHTP, C-IAYT, YACEP, Reiki Master, Certified Level III ParaYoga® Teacher, & Certified Four Desires Trainer is a long-time lover of the outdoors, yoga and travel. 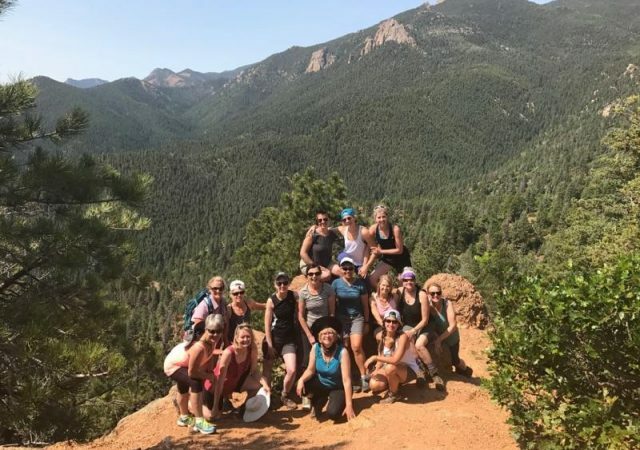 Summiting multiple 14,000 peaks in Colorado, plus living in Lander, Wyoming as a rock climber in her 20s has given her a deep appreciation for the Rocky Mountains, and calls them home. Having led retreats to Thailand, India, Costa Rica, etc., Tanya is passionate about travel, wellness and sharing enriching and transformative expereinces with students around the world. Founder and Director of Devanadi School of Yoga and Wellness, Tanya devotes her life to sharing the gifts of yoga, wellness and well being with clarity, ease, and joy while keeping in mind the constant evolution of the soul. DM, MA, CPPC, CHNLP, E-RYT 500, C-IAYT, Reiki Master Teacher, Certified Spiritual Soul and Life Purpose Coach, BCC Certified Positive Pyschology Wellness Coach, and Initiated Modern Shamanic Healer, has been communing and adventuring through the wilderness all her life. Known for her lighthearted and curious approach to experiencing life’s magic and wonder, Nina has led retreats for many years, and has also challenged herself with numerous outdoor adventures, most recently a 50 mile backpacking trip across the West Coast Pacific Trail in British Columbia. Nina was a high school dance coach and personal trainer for 8 years, and continues service as a veteran life coach, yoga teacher, and energetic healer. Nina founded and directed ENSO Yoga and Wellness Center for 8 years, which offered exceptional traditional Yoga, Nia and Tai Chi immersion experiences, transformational and spiritual discovery journeys, retreats and adventures. Nina is a devoted seeker whose calling is to inspire others to discover their most authentic passion, purpose and soul’s fullest expression.